ADD: Oil Here 1 Litre Req. All products are Brand New, unless otherwise stated. 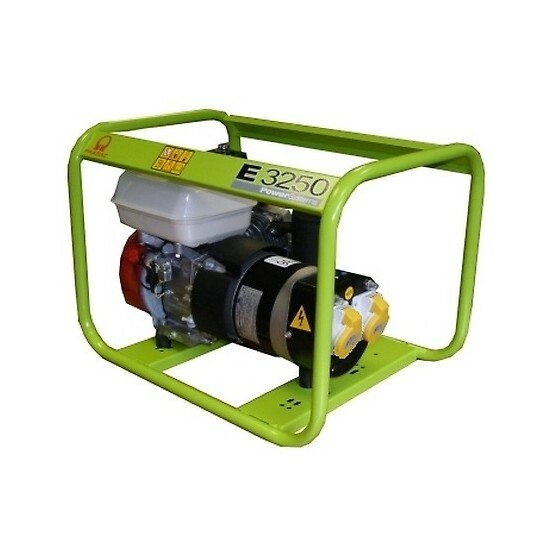 The Pramac E3250 110v CTE generator is an economical, simple, professional generator featuring an ultra reliable 4-stroke Honda GX160 engine and a new, improved exhaust system. Pramac has designed this generator to ensure a high performance level at attractive price. 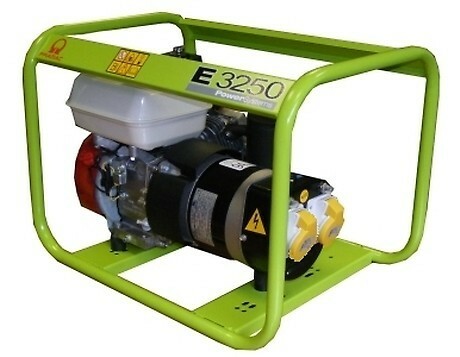 A powerful, strong generator; easy to maintain, it will be soon be essential to all your activities. Pramac E Class machines can be used in various fields as emergency power supplies or industrial uses. All of this range are designed to comply with current regulations to ensure that the operators have the security of a high level of quality. The predominant factor during development is security of operation which allows you to operate in absolute safety. The components that are used for the construction of these machines are the result of precise selection from the suppliers, which gives high standards of quality at low costs of production. First class materials and superior quality finishing (painting with epoxy powder) etc, are used in production of these machines.